Step into Metuchen Charm! Greeted with extended front porch, that promises all the joy of a fresh, morning cup of coffee and newspaper, this condo is sure to please. Extra space is afforded in this home. Sitting at the end of the court yard of the complex affords privacy and tranquility. With hardwood flooring throughout, this home welcomes you like an old friend. The kitchen is complete with all new appliances, including refrigerator and a never before used stove, for the chef in you, along with a new furnace. Central air through the house and special place outside for a your own personal garden, assigned parking space and detached garage, only add to charm of this home. Just moments away from local YMCA, bustling downtown area, shopping, malls, all major highways, and train to and from NYC! This condo is sure to please and is A MUST SEE!!! Step into Metuchen charm! This unit is ready for its new owners. With hardwood floors throughout, dining room and updated kitchen with newer appliances. Newer windows complete your quaint experience. Close to all major highways, bustling down town area, shopping malls, YMCA, Municipal Pool, and public transportation to NYC and Philadelphia. THIS IS A MUST SEE!!! 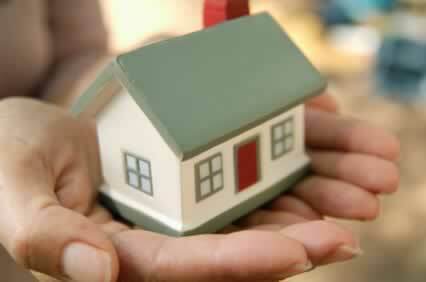 Buying a Home in Middlesex County? Buying a Home in Colonia? Selling a Home in Colonia? Buying a Home in Menlo Park Terrace? Selling a Home in Menlo Park Terrace? This charming ranch is ready for its new owners! Alluring you with it's quaint porch, only missing a newspaper and a coffee mug, opening the door into this home's delightful living room, that engrosses you with the promise of wonderful memories to come. The pleasant kitchen is set to provide all your cooking needs, complete with side door access, bright colors, updated appliances, and separate eating area. Stride down the hall to see three bedrooms, that are just cute as a button and a full bathroom that is extremely tasteful. The full basement goes the length of the house, with a laundry area with newer washer and dryer and newely replaced sump pump, all sheltered by a relatively new roof. The side door leads to the one-car length driveway, detached garage, and backyard, that seems made for summer gatherings, all surrounded by a new fence. Not far from all major highways, shopping malls, bustling downtown area, and public transportation to and from NYC. This home is not to be missed. Buying a Home in Spotswood? Selling a Home in Spotswood? This updated split-level home is waiting for you. Step into Spotswood charm with an immediate greeting from the cozy living room, connected with a seperate dining area, ready for all the fun of a dinner party, and an updated kitched with all newer appliances. The lower level of this split level is complete with a family room, laundry room, and additional bedroom. Step out on to the deck and take in all the beauty that seems like your own piece of a vacation resort with gated, inviting pool, ready for summer BBQ's. 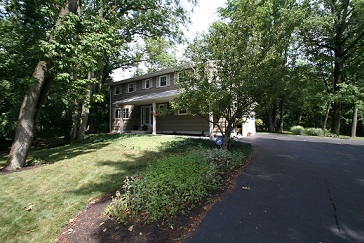 Not far from all major highways and shopping, and short distance to public transportation to NYC. A MUST SEE!!! Welcome to Community living! Enter into a spacious entry foyer, where you are pleasantly welcomed by beautiful hardwood floors & crown molding. No detail has been missed! Double french doors lead to the den... Living room has vaulted ceiling , carefully hand painted. Living room shares a double sided, cozy, gas fireplace with the family room. The family room & kitchen have been extended 6 feet. Eat-In-Kitchen has every luxury & convenience! Upgraded features, including 1 inch granite counter tops; decorator back splash tiling, stainless steel appliances, 42 inch cabinets, garbage disposal, and vented range hood. From the breakfast nook, sliding glass doors that lead you to an over-sized, great for grilling or just soaking the private serenity of the complex. First floor master bedroom has its own private spa. It is featured with large customized closets, as are all closets. Tranquil master bath features Jacuzzi tub & separate stall shower. All Moen facets, custom decorated tile, truly a serene space. Proceed upstairs to the loft area with custom walk in closet, plenty of storage area, third bedroom, and a private bathroom. Convenient all major highways and shopping. A MUST SEE!!! 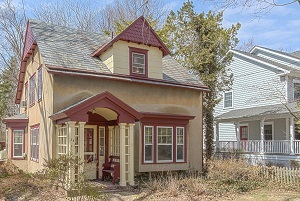 Welcome to this beautiful, elegant, Victorian Metuchen home. Updated, and meticulously restored with all of today's amenities. Formal living room, banquet size dining room. Spacious Eat-In-Kitchen overlooks multi-tiered deck, which overlooks landscaped and neatly manicured yard. Newer family room addition with wood burning cozy fireplace. 4/5 bedroom. Beautiful hardwood floors through-out, 12 foot ceilings, bonus of detached 2 car garage, with apartment, perfect for home office. A beautiful 5 bedroom colonial with one bedroom and a full bath on the first floor, perfect for a guest bedroom or a home office. A Living room, den, dining room & updated kitchen make up rest of the main floor. Nicely updated home (new walk-in closet in the master bedroom, new roof in 2013) Maintenance free Backyard. Adjacent to schools & playground. With proximity to train station to NYC. A MUST SEE! 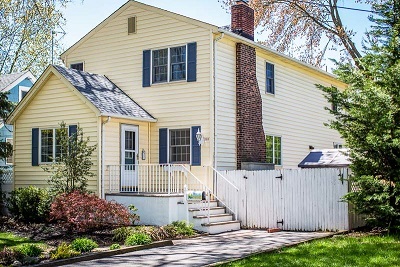 Charming, Metuchen Tudor Colonial is Ready for you! 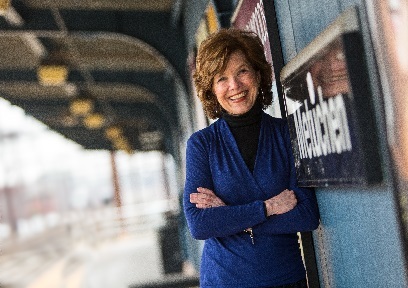 Welcome to Metuchen Living! 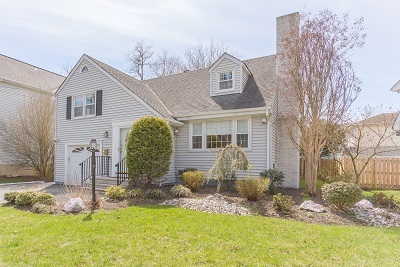 This classic colonial is what you want in a home, with original setup and floor, with hardwood floors throughout, spacious room and alluring living room fireplace, all add to the vintage feeling of this home. The kitchen, with separate dining area, is superb for the cook in you. The formal dining room gives a picturesque view through large Victorian windows, all while you dine. The splendid location of this home adds to the allure of this mature home. Within proximity to all major highways, bustling down town area, shopping malls, and public transportation to NYC. A MUST SEE!!! Welcome to Metuchen Living! This end-unit townhouse is the combination of old-fashioned charm with brand new interior. Outside has finishing touches include brick walk-ways,& impeccable grounds. Inside contains hardwood flooring, through out the living room and formal dining room, completed with the scenic fireplace, perfect for chilly winter nights. 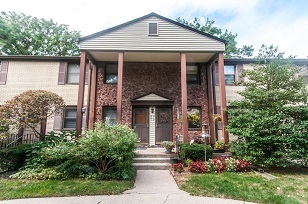 The spacious two bedrooms have brand new wall to wall carpeting and master bedroom has a newly renovated master bath. The kitchen is completely update, with all new stainless steel appliances and a full basement. Great access to all major highways and just a single block to the bustling center of town, including shopping, restaurants, buses, cafes, and the northeast corridor train to and from New York City. Perfect for even the most discerning buyer! 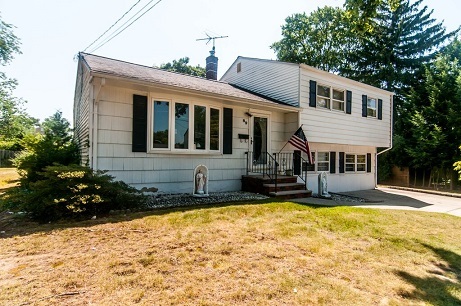 This Edison colonial is ready for it's new owners. The charm of this home can be felt from the first step through the door. Hardwood floors lead your way through the welcoming floor plan, from the living room, sun drenched, made for Sunday afternoon relaxation, to the dining room which urges dinner parties and enjoyable times for years to come. The kitchen is completely updated with granite counter tops and stainless steel appliances, optimal for the chef in you. The enclosed back porch is so quaint and fitting, you can almost tasted the fresh coffee with your newspaper on a clean spring morning. Take the trip upstairs through the staircase in the living room that reminds you of your favorite sitcom. The bedrooms are spacious, two with hardwood flooring and the third with wall to wall carpeting, and completing the second floor with a full, updated bathroom. The full basement is spacious and excellent for storage. Spacious backyard is ready for summer time BBQ's and outdoor fun. Immediate access to all major highways, great schools, shopping malls, and public transportation to and from NYC! This home is not to be missed. Welcome to Metuchen Beauty! This striking split-level move in ready for your fussy buyers, with hardwood flooring, that add to sleek, welcoming atmosphere. This open floor plan offers a ton of amenities, including Cathedral ceilings, skylights in the family room, fully updated kitchen, complete with granite counter tops and newer appliances, that will appeal to the cook in you, and a wood-burning fireplace in the living room, will keep you cozy for a many winter nights to come. Spacious bedrooms and appealing bathrooms, add to intimate feeling of home that this split-level can provide. The full, spacious basement offers plenty of storage space and laundry facilities and the scenic backyard with quaint deck and bar-b-que area just encourages summer gatherings. 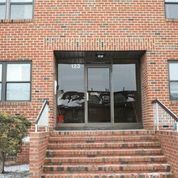 Within close proximity to YMCA, Metuchen Municipal pool, all major highways, shopping malls, public transportation to and from NYC through buses and trains, great eateries, and bustling downtown area. This home is ready to go!!! Step into Metuchen Charm! 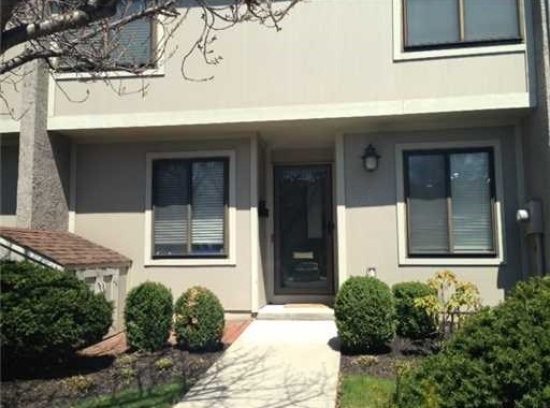 This charming Metuchen Condo is ready for its new owners. With hardwood flooring, formal dining room, and spacious Eat-In-Kitchen. The Master Bedroom is complete with Master Bathroom and walk-in closet. Great schools and within close proximty to bustling downtown area, shopping, all major highways, and public transportation to NYC! A MUST SEE!!! Welcome to your very own piece of paradise and yet convenient to everything! Home located at the end of a very private walk to Johnson park. Within proximity to New Brunswick; with great restaurants, night life, Rutgers and conveniently located to all major highways. Spacious rooms, beautiful hardwood floors throughout, HVAC systems have been upgraded and multi-zone units for both hot and cold air. Newer windows and updated, this home is a MUST SEE! A well maintained 3 bed/rm 2 1/2 bath home with family room over looking a beautiful back yard and a lovely deck. Formal dining room and Eat-In-Kitchen. Roof is 15yrs. newer windows, newer garage doors . Partial basement. A lovely floor plan great for entertaining. Home has great curb appeal with wood shingling in front & other shingling around the house.Close to shopping & transportation to New York City. A MUST SEE!! Welcome to comfort! This stunning colonial is ready for its new owners. With a tranquil landscape that stretches over a half acre, this home is sure to fit. With spacious living room, with hard wood floors through, leads to the formal dining room, perfect for any meal. The family room runs paralleled to the house, eat-in-kitchen, complete with gas range, separate seating area and pantry, and a separate laundry area, with a brand new water softener. The upstairs has four bedrooms, one of which can easily be used for a home office, master bedroom with its own full bath, an additional bathroom and roomy bedrooms. Newer furnace, installed in 2011, and an intercom system in the house. 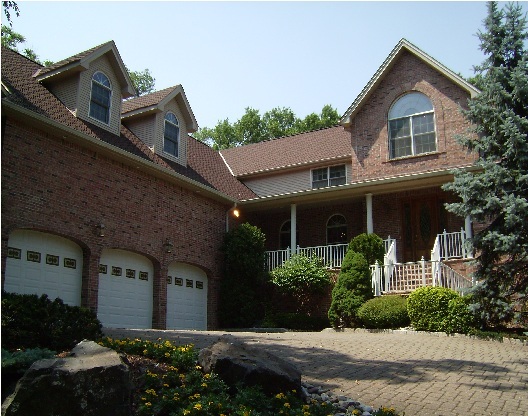 Near by all major highways, shopping malls, and public transportation to NYC, this home is a MUST SEE!!! This Manhattan style loft has it all. Complete with Cathedral ceilings, on location laundry and hardwood floors, this home is bright with elegant style. This home is listed as a two bedroom that could easily be three, with two absolutely beautiful, newly updated full bathrooms. Custom made closet organizers, hardwood floors throughout. Two new, updated, full baths. New windows with wood casings, plumbing, glass shower door panels, Stainless steel app., granite counters tops, brand new AC, boiler & furnace motor; ALL NEW. Subway tiled, viking range gas. Step outside to bus to NYC, minutes away from NYC Train and shopping galore. A MUST SEE!!! Buying a Home in Garwood? 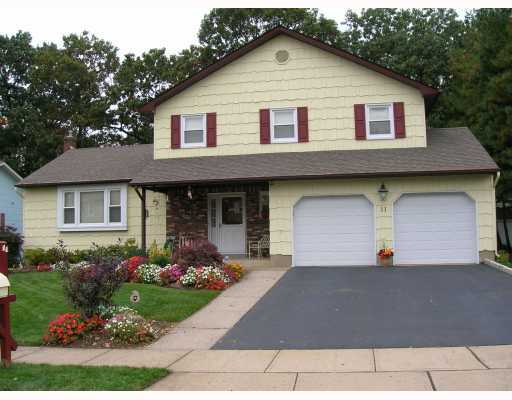 Selling a Home in Garwood? 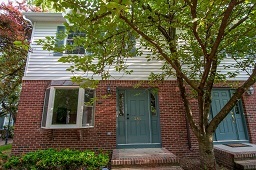 This lovely custom colonial is ready to be yours. It was completely renovated in late 1990's. 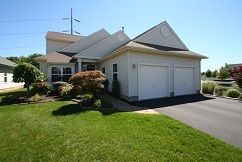 Located nearby the Garwood train station, major highways, and shopping. 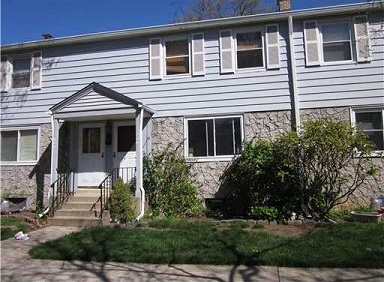 This sun-drenched home has been freshly painted and newly carpetted and newer appliances. This home is ready for the discerning buyer to make this home their own. Listed as a three bedroom, it can be easily made into four, it has very spacious rooms, including newly finished bathrooms, built-in bookcases in home-office, with hardwood floors, two full bathrooms, full basement, with available newer laundry facilities, living room has wood-burning fireplace, with clean, fresh, white carpet and a raised outdoor deck, perfect for summer bar-b-ques. A MUST SEE!!! Perfect, Cozy Colonial in Colonia! This scenic, quaint home is ready for it's new owners. With partially finished basement and hard wood floors throughout, this two bedroom is a great find. It's newly updated kitchen leads to enormous backyard, w/ welcoming deck. Near all major highways and great shopping malls, close to public transportation to NYC. A Must See! This stunning, Edison, Luxury home is ready for it's new owners. Stunning with five bedrooms and 4.5 Bathrooms. Excellent location on quiet residential street, Complete with a three car garage and full basement,this house is waiting for you and full basement. With five bedrooms, Master bedroom with master bath, walk in closet and sitting room. This newer, eat in kitchen is welcoming, with hardwood floors throughout the home. Near all major highways, including routes 1 & 9, 287, route 27, Garden State Parkway and New Jersey Turnpike. Near all major shopping malls and easy access to NYC, Philadelphia, Rutgers, Newark International Airport, and easy access to shore locations. In addition, this home is located near public transportation. This home is a must see!!! 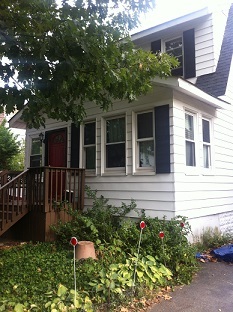 This two story charming colonial is perfect for a small family. This home has so many updates that it adds to its charm. Including newer kitchen, which has sliding doors to spacious deck, newer roof, refinished bathrooms and freshly maintained, spacious basement. Freshly painted, beautiful gleaming hardwood floors, and beautifully crafted woodwork. 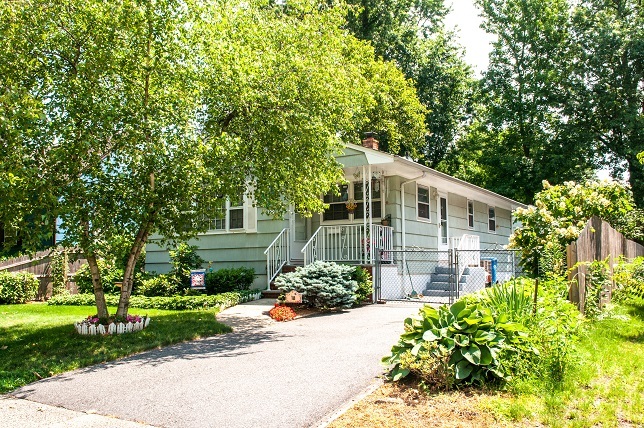 Close proximity to the bustling downtown stores, restaurants, plus malls, train to NYC, buses,and close proximity to all major highways, all within half a mile to a mile of this lovely home. This home is a MUST SEE!!! This home is ready for it's new owners! Complete with a finished, partial basement (including a full bathroom), this home offers three floors of welcoming ambiance. With spacious living room, formal dining room, relaxing family room, attached garage with access to the house, three bedrooms, with easy transition for a fourth, and recently updated kitchen, with granite counter tops, newer appliances and wood cabinets, this home is sure to be a delight for years to come. Hard-wood flooring and ceramic tiles are throughout this spacious, sun-drenched layout, with a recently updated full bathroom downstairs and master bathroom. Not only does this home have quaint patio to out look the spacious yard, the large, raised deck is perfect for family BBQ's or relaxing outdoors. Located near all major highways including: NJ Turnpike, Garden State Parkway, Rts 1, 27 & 9, 287 and 18. 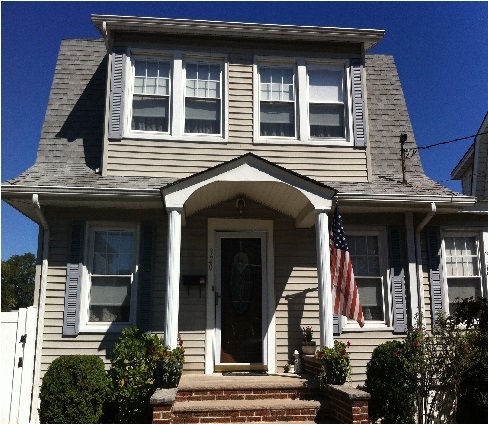 Close to bustling downtown Metuchen shopping and all nearby shopping malls and public transportation to NYC. A Must See!!! 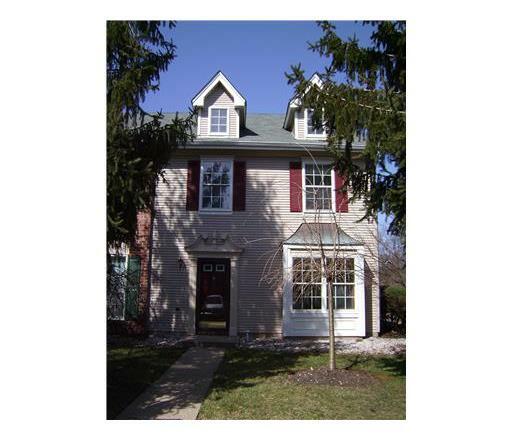 Lovely home located in historic Clara Barton section, on a quite dead end street. Convenience plus location! Beautiful inside and out! Front porch screen newly renovated, many new updates including roof, newer siding, Pella windows, newer concrete sidewalks. Oversized 2 car detached garage and a beatiful private backyard. Close to all major highways, shopping malls and transportation to NYC. A MUST SEE!!! This home is ready for it's new owners! 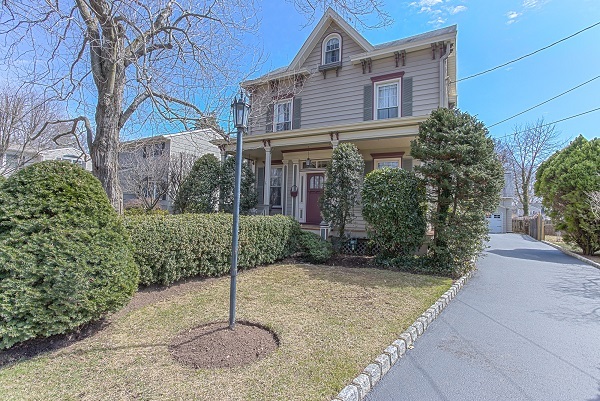 Welcome to Metuchen living on this quaint corner lot. As you step into this beautiful, accessible foyer you will feel at home. With spacious floor plan, with a mixture of hardwood floors and porcelain tile. Relax in this open living room complete cozy fireplace or fix yourself a snack in this gorgeous eat-in-kitchen complete with pantry. Entertain guests in the cozy den, with another fireplace or enjoy a little rest and relaxation in the fanciful sun-room. 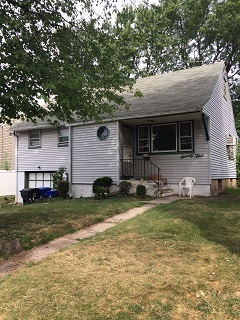 This home is the total package, including formal dining room, master bedroom, finished basement (including exercise room, storage room and full bathroom), open porch, spacious yard, off-street parking, accessibility to all major highways, downtown shopping, great New Jersey malls, easy access to public transportation to and from New York City and great schools. A MUST SEE!!! 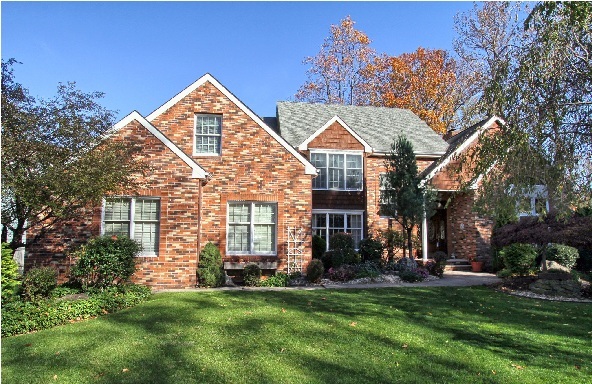 This East facing, North Edison home is stunning. Grand foyer, gleaming Hard wood floors throughout the spacious open floor plan. Family Room with cozy fireplace, formal dining room, large sun drenched eat in kitchen with stainless steel appliances, Formal large living room, spacious Master Bedroom with walk-in closet and full bath. Backyard oasis with inground pool. Fully finished basement, 2 car gar! 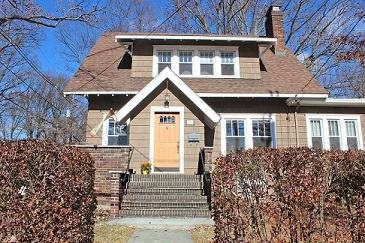 Welcome to 300 Middlesex Avenue in Metuchen. From the exterior the home has an exquisite, luxurious and charming feel. Step onto the welcoming front porch and enter through the amazing detailed leaded glass front door. The grandiose entry foyer captures your attention right away with 10.5 foot ceilings, decorative ornate moldings, arched doorway, charming bench seat, wood flooring, and a picturesque staircase. The Family Room features 10.5 foot ceilings, ornate marble surround gas fireplace, wood floors and functional floor to ceiling built-in book cases. The Living Room features 10.5 foot ceilings, pocket doors, decorative molding, an ornate marble wood burning fireplace, wood floors, and lots of windows for natural light to stream in. Enter the Formal Dining Room which is sure to please. This enormous space features pocket doors, a charming built in, an ornate marble gas fireplace, bow windows, decorative moldings and enough space for a large dining table; the perfect space for gatherings and entertaining. The renovated gourmet kitchen is a chef’s paradise. Features include 10.5 foot ceilings, an eat-in area, marble flooring, stunning granite countertops, custom, generous cabinetry with glass paneled accent cabinets, crown molding, arched door way, and newer windows which allow the kitchen to be completely sun drenched. Enjoy the stainless steel Thermador appliances which are included in the sale; refrigerator, wall oven, microwave, dishwasher, and disposal. The large center Island features the oversized gas range top with built in griddle and range hood. In the Butler’s pantry you’ll find a built in wine rack, additional generous cabinetry, a wet bar and sink. This custom kitchen captures the home’s old world charm with all of today’s modern conveniences. There is even a convenient second staircase from the kitchen area. The updated powder room finishes the first floor plan. The first floor is truly the perfect setting for entertaining with its grand rooms, charming accents and warm feel. On the second floor you will find 4 generous sized bedrooms, 3 completely renovated full baths with features such as whirlpool tubs, marble floors, double sinks and granite countertops. The generous sized laundry room is a wonderful convenience in this home and the newer washer and dryer are included in the sale. The master bedroom oasis features an ornate marble gas fireplace, an updated master bath with double sink vanity, whirlpool tub, separate shower stall and double door closet. The other 3 bedrooms are all generous in size with plenty of closet space. One of the bedrooms features access to a balcony. Wood floors run throughout the entire second floor along with decorative moldings. On the completely updated third floor you will find 3 generous sized bedrooms. Whether you make a gaming room, theatre room, bedroom suite, den, study library etc., the possibilities are endless! You will also find an amazing leaded stainless glass roof top window which captures tons of sunlight. There is also an additional room plumbed for a full bath. Just when you thought this home had so much to offer, there is more! In the basement you will find a separate home office suite with its own outside entrance. You can conveniently access this suite from inside the home as well. The potential and possibilities are endless here. 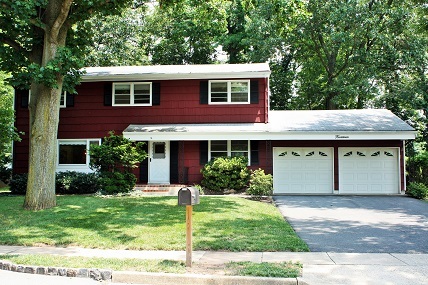 As mentioned, this home has old world Metuchen charm with today’s modern conveniences. The heating and cooling is all multi-zoned, the roof is just 4 years young and the home’s insulation has been updated. The outside block paver patio is a great place to enjoy your morning coffee or read a book. The circular driveway, additional parking for 6, car port and detached 2 car garage, and separate home office truly make this home quite the convenience. The location is ideal just minutes to Route 1, NJ Turnpike, Garden State Parkway, and the North East Corridor NYC Train station. This luxurious home is completely unique, and ready for its next special owners! Stunning custom describes this Builder’s Own Home. So many features: Spectacular two story marble entry foyer, Living Room with palladium windows that let’s natural light in and features tray ceilings. The home also has multi-zone heat and air conditioner. Banquet size formal dining room, perfect for your next Thanksgiving meal. Eat-In-Kitchen overlooks a private park-like backyard, and family room with cozy wood burning fire place, fully furnished basement with kitchenette, first floor convenient laundry room. 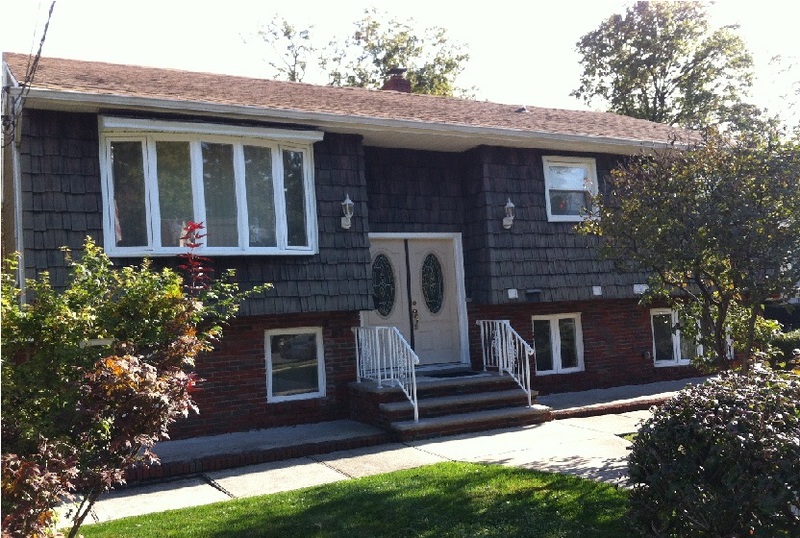 Located near New York City trains and downtown Metuchen. Hurry and Call TODAY! Buying a Home in New Jersey? 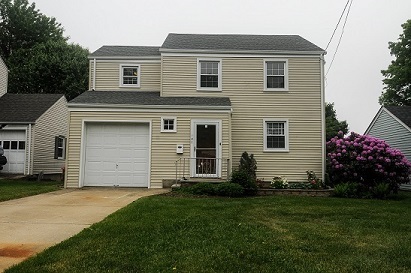 This 8 year young Colonial is ready for its new owners! 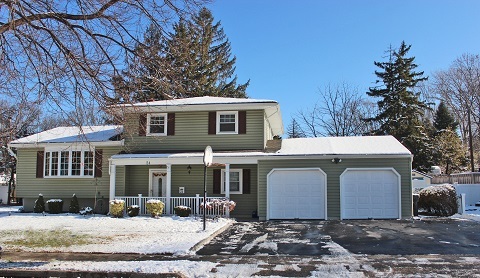 The home is located on a private cul-de-sac in Sayreville with breathtaking views! Take in the sight of the Verrazano, Raritan Bay and NYC Skyline from this amazing home. The entry foyer welcomes you in. No detail or upgrade has been missed. Gleaming cherry wood floors take you through the open spacious layout. The custom enormous eat-in kitchen is well equipped with stainless steel appliances, custom cabinetry, granite countertops, breakfast bar and spacious eat-in area. The home features a formal living room, spacious formal dining room perfect for entertaining, a family room with a cozy gas fireplace and cathedral ceilings. The home has multiple crystal chandeliers, recessed lighting, crown molding, multi-zone heating and cooling. The full finished basement has many possibilities. The 2 car garage just ads to the convenience. This home is newer and stunning! It's well worth the look! 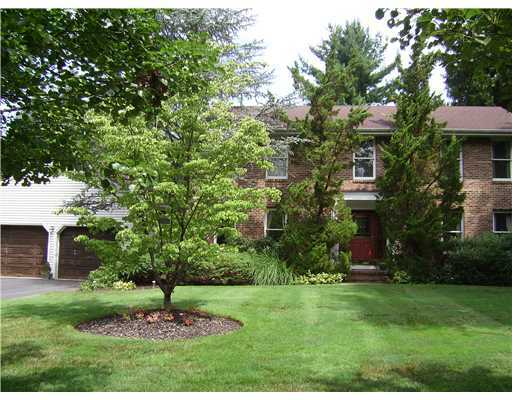 This Metuchen Charmer will NOT disappoint! The professional landscaping and circular driveway welcome you into this home. The gleaming oak hardwood floors take you through the open and spacious layout. The living room features a cozy wood burning fireplace perfect for fall nights. The formal dining room is perfect for entertaining. The spacious eat-in kitchen features a center island. As a bonus is s beautiful sun room with vaulted ceilings and skylights. Through there step out onto the paver patio area, perfect for outdoor entertaining. The lush lot is huge, and serene. There is a half bath for convenience. Both bedrooms are spacious, and sun drenched. The main bath features a huge double door closet. The partially finished basement and 2 car garage simply add to this amazing home! The location is ideal, just minutes to the NYC train, GS Parkway, shopping, schools, parks and MORE! Step into perfection in the Custom Built two storyh home. Located on the golf course, this home is truly one of a kind. This solid built, complete brink home features steal beam construction. The Charming front porch and Pristine Professional Landscaping invite you into this amazing home. 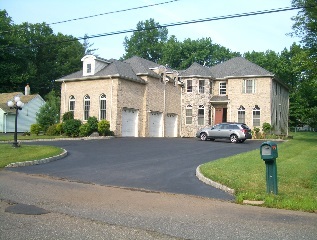 Follow the oversized paver driveway up to a three car attatched garage. Once you open the door, enter into the bright, large foyer with coat closet. You are pleasantly welcomed by the Gleaming Hardwood Floors throughout the spacious floor plan. No detail has been missed. The Formal Dining Room features gleaming hardwood floors and crown molding. The bright top of the line, gourmet, eat-in-kitchen has every luxury and convenience. Features include Corain Countertops, Viking Stainless Steel, 6 Burner gas range, dishwasher, custom Cabinetry, recessed lighting, tile backsplash, Center Island, dual see through fireplace and more. There are several french doors that will lead you out to the spacious park-like yard, which features a large patio area, lush greenery and a view of the golf course. The large, family room features a cozy fireplace, gleaming, hardwood floors and recessed lighting. The formal living room or study is sun drenched and spacious with its own fireplace. The two bedrooms on the first floor are spacious and perfect for an Au Pair suite with lots of closet space and an additional attached full bath. Downstairs you will also find a large laundry room. The gleaming hardwood floors lead you upstairs where you will find 3 Bedrooms and 3 Full Baths. Open the French Doors into the very spacious master bedroom suite which features a huge walk-in-closet, a sitting room which is completely sun drenched and a private balcony with breath taking views. The tranquil master bath features an oversized claw foot tub and an oversized seperate shower stall, marble counter tops, two sinks and several closets near by. The Master Bedroom suite is truly a serene escape. The 2 additional bedrooms upstairs are spacious and bright, featuring gleaming hardwood floors with wonderful, large closet space in each. No detail has been missed with crown molding in each room. A bonus and convenient feature is the upstairs laundry room. You will also find an additional balcony area with more breath taking views. This home features every modern convenience with 8 zone heat. 4 zone central air conditioning and has every luxurious feature you could want. The decor is simply beautiful, bright, and neutral throughout. Custom, solid construction with tons of charms!